One of my food adventures brought me all the way to Semenyih, Kajang recently. This time it was to savour some delectable chinese cuisine at Gao Feng Chinese Restaurant. 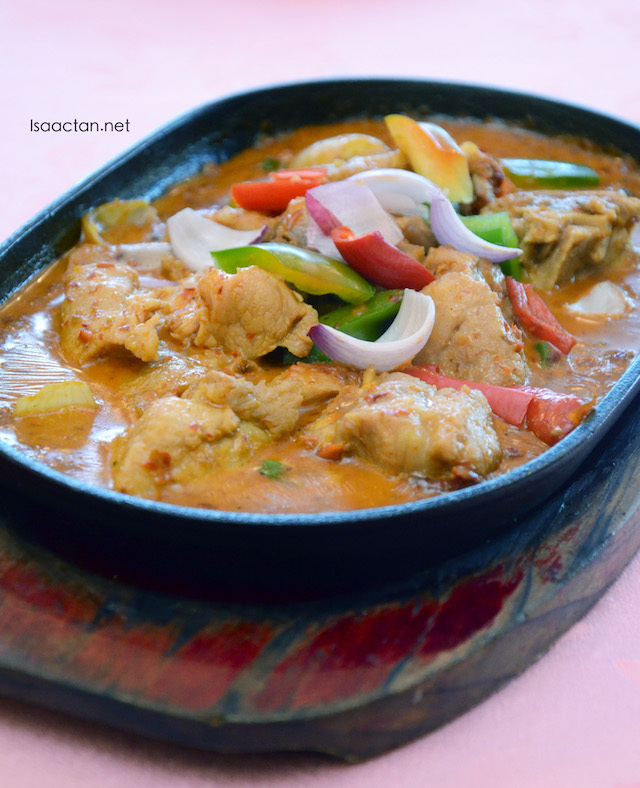 Opened and run by a Singaporean, you can be sure the dishes have a lot of local flavours from our neighboring country. Tucked away in the town of Semenyih, check out what we had that afternoon, ranging from seafood, to chilli crab and more! The restaurant itself had a wide space for diners to dine in comfortably, complete with aircond and all. There's ample parking outside too. 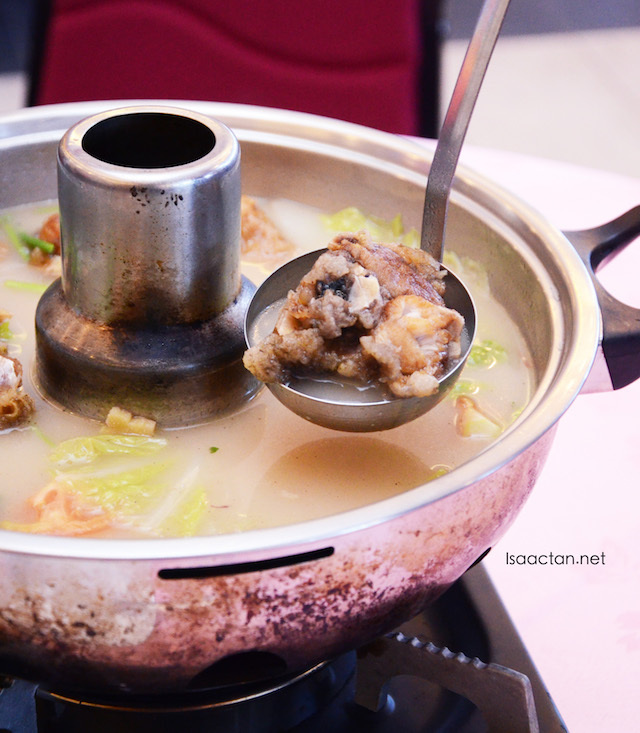 We were served some fresh seafood and steamboat, including some of Singapore's famous local dishes. If you're a fan of fish head, then this is a must-try dish for you. Originating from China, the Gao Feng Grouper Fish Head dish is definately one to savour. Boiled for hours with pork bone, fish head and chicken, the soup itself has a distinctive fish aroma, not so suitable for my tastebuds, but once you drink it, it does taste very good. Clear soup, yet thick, starchy and delicious. 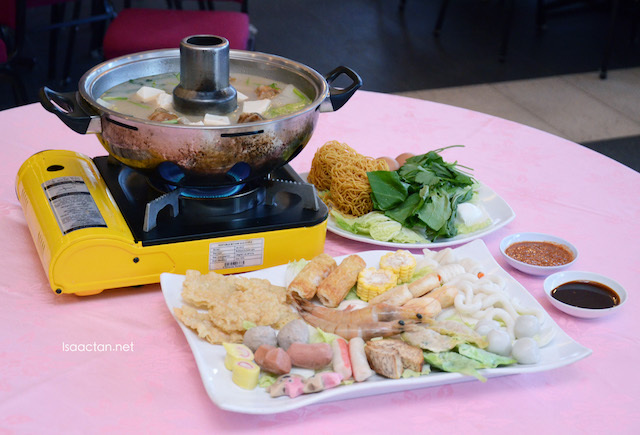 Customers who purchase both the Grouper Fish Head Pot and Steamboat Set can take part in a lucky wheel available inside the restaurant to win lucky prizes, which includes RM1 Chicken / Fish and percentage discount that can be redeemed immediately. 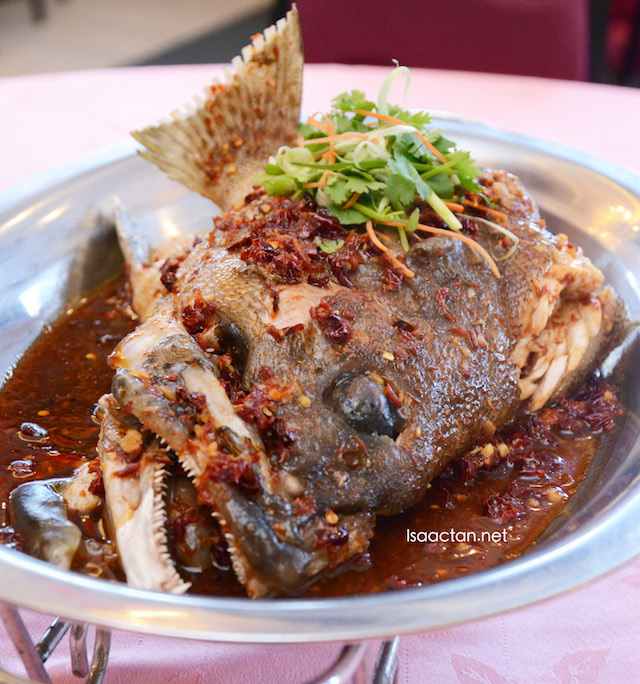 Still on the subject of Grouper fishes, you can opt for their Sichuan Style Grouper Fish Head. We had a huge one that afternoon, this well known dish in Sekinchan is prepared with dry chili paste and chopped dried chilli, giving you that spicy kick in the mouth the moment you bite in. Not bad at all. The moment the Chili Crab was brought out, I was in love with how it looks. 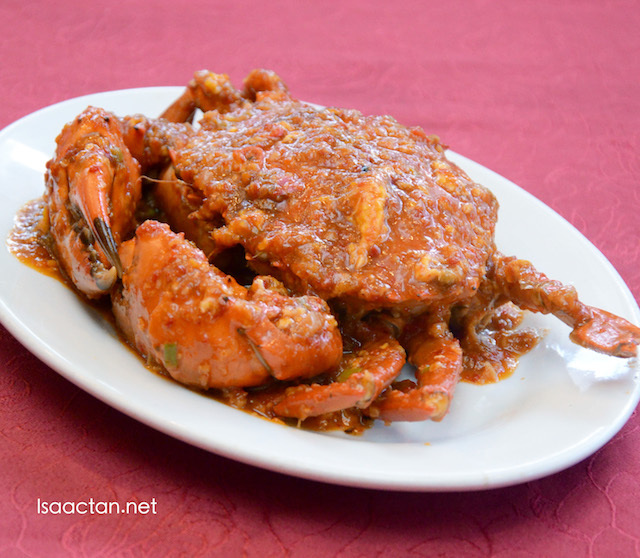 Stir fried with creamy tomato chili based sauce, this crab dish did satisfy any cravings we had. Sweet and spicy, another must-try. I was told the way this crab is prepared is popular amongst Singaporeans. Ah, my favourite dish that afternoon, one which I could not get enough of, the Curry Pork Ribs by Gao Feng. The curry is unlike any others I've tasted, as it has a very heavy taste of coconut and fresh milk inside. Extra fragrant, extra creamy, and it's very spicy too, perfect for the Malaysian Chinese in me. 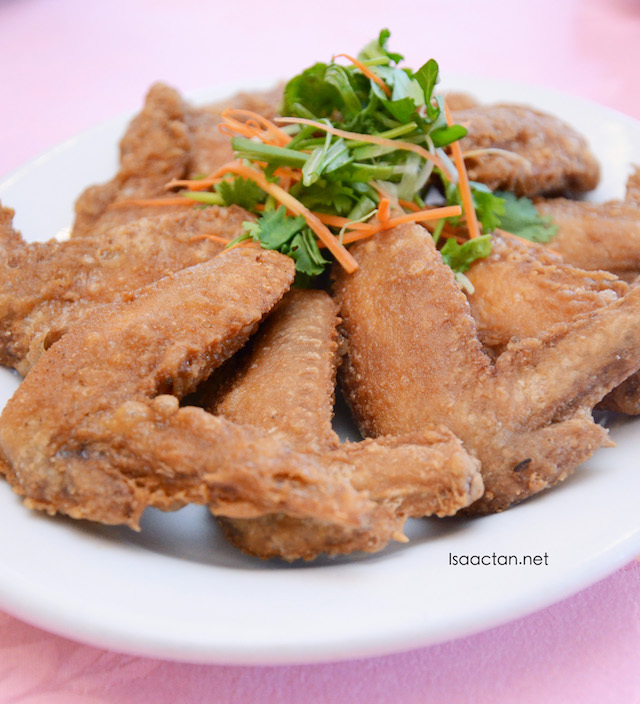 For an added bite, do try out their unique Prawn Paste Chicken Wings. Yes you heard that right, prawn paste, not belacan but the more premium "he kor" as I call it in Hokkien. It tasted surprisingly good, flavourful and crunchy. 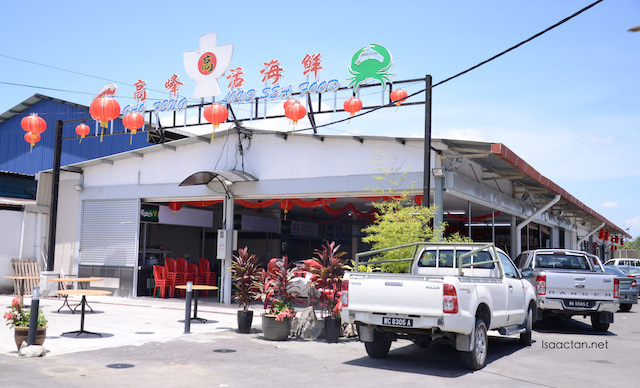 Do drop by Gao Feng Chinese Restaurant @ Semenyih, Selangor if you're in the vicinity and want some good Chinese cuisine. No GST and service charges will be added to your total bill, so what are you waiting for! In this heatwave, steamboat isn't a great idea. Last time I had it outdoors and enjoyed it very much was when I went to Cameron. Wah~~The price for the seafood is good!! The chili crabs looks really really mouth watering! Ah I know this place! Past it a few times when I was in Kajang. Seems to be a popular spot for Kajang-nites too. Oh my....I love fish head. Can't wait to visit here! Only been to Semenyih once. Next time after going to Broga, I will go here to have a try..
the pork and chili crab definitely look very delicious! would love to have a try! Wei bojio! love the crab and fish head. I think semenyih got lots of good food la. The food looks quite tasty and authentic. Glad that you could enjoy this experience. It was quite far from my place. But we can plan a one day trip to semenyih! Its been a while since I have eat a traditional Chinese food. Looks like it's a great meal!~ I wanna go dine there d.. I can droooool on this post for hours... These are really rare delicacies for me lolx... I can attempt to "tempt" my hubby to take me here but my food choice is limited cos I'm expecting so no crabs..... Less chilli.... Less oily... Boohoo!